Women’s jiu-jitsu open mat Girls in Gis got started in Houston, and the first DFW area event was held in December of 2009 at Alvarez BJJ. 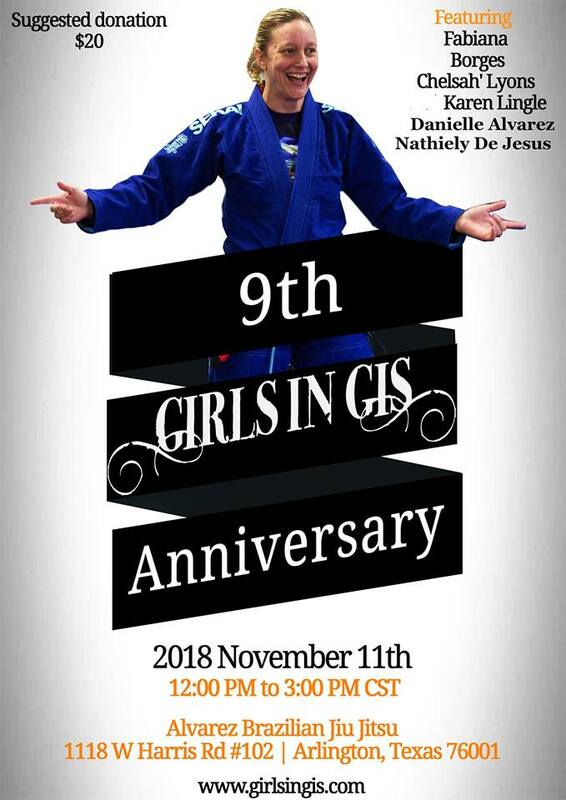 On November 11th, women and girls once again are gathering at the same place to celebrate the 9-year anniversary of Girls in Gis. 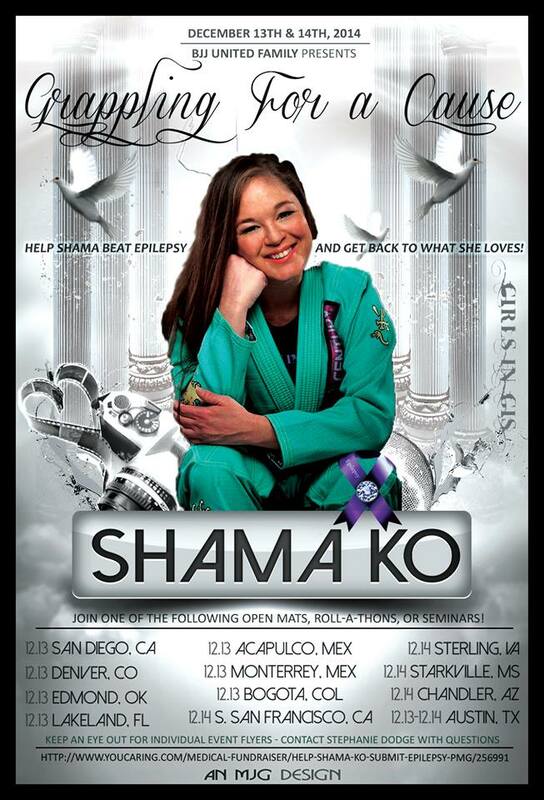 The highest ranked women in 2009 event were purple belts; this year there are five black belt instructors leading the open mat. The first open mat at Alvarez BJJ attracted 25 women and girls which was unheard of at the time. It was so unusual to see a group of women training that even men stayed and watched. The instructors are Fabiana Borges (Gracie Barra), Danielle Alvarez (Alvarez BJJ), Chelsah’ Lyons (MG Dallas), Karen Lingle (Genesis) and Nathiely de Jesus (Rodrigo Pinheiro BJJ). In 2009 Nathiely and Danielle were white belts, Chelsah’ and Karen had not found jiu-jitsu yet; they started training in 2010 and 2012 respectively. All these ladies are now black belts and high-level, decorated competitors with world champion titles in gi and no-gi. At that time Fabiana was a multiple time Brazilian National Champion in different belt levels, had been a black belt for two years, and was on the move to the US to join Gracie Barra American Team. From 2009-2015 Girls in Gis event flyers were exclusively designed by Fenom. The font on the first flyers was abandoned in the middle of 2010 and replaced by the swirly font that is used by GIG until this day. The flyers were provided free of charge to help the women’s BJJ organization that had yet to produce income. 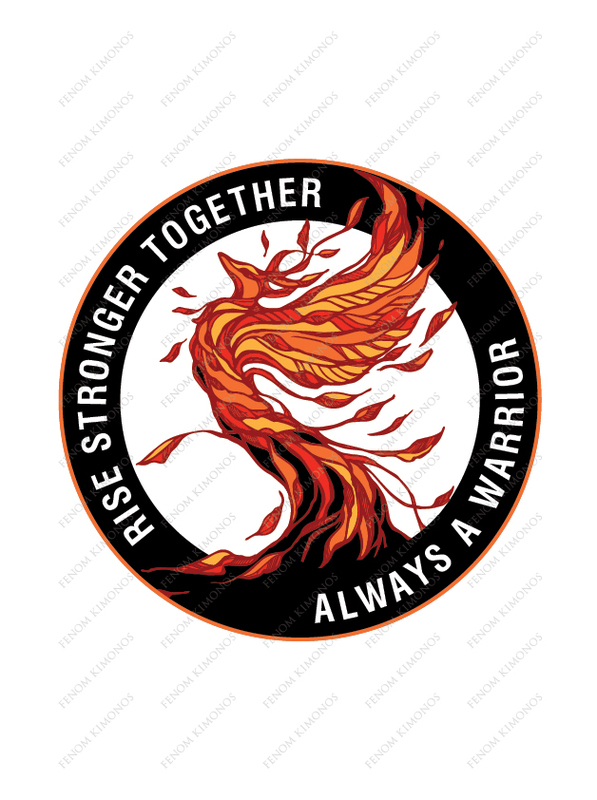 Years later when GIG started earning profit from t-shirts, patches, gis and participation fees, it was time to hand the flyer design work back to the organization. Lots has changed over the years. During first years of GIG, all events were free of charge, less formal, and organized in Texas. In recent years GIG chapters have opened up in a dozen states, and most events require a suggested donation in addition to online registration. Brand ambassadors help schedule, oversee and run events. 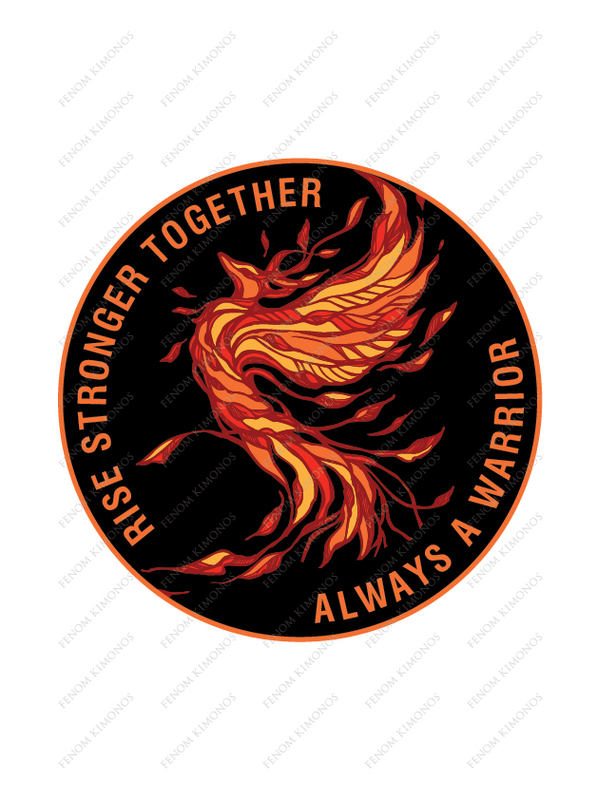 Thousands of women and girls have participated, some have quit training, some are on break but many more are still training and rising in the ranks. The goal the get more women into jiu-jitsu has been achieved, the number of female black belts have sky-rocketed, and tons of other women’s open mats all around the country have sprung up. We wish Girls in Gis a very happy birthday and can’t wait to see what happens next! Happy Birthday Girls in Gis! 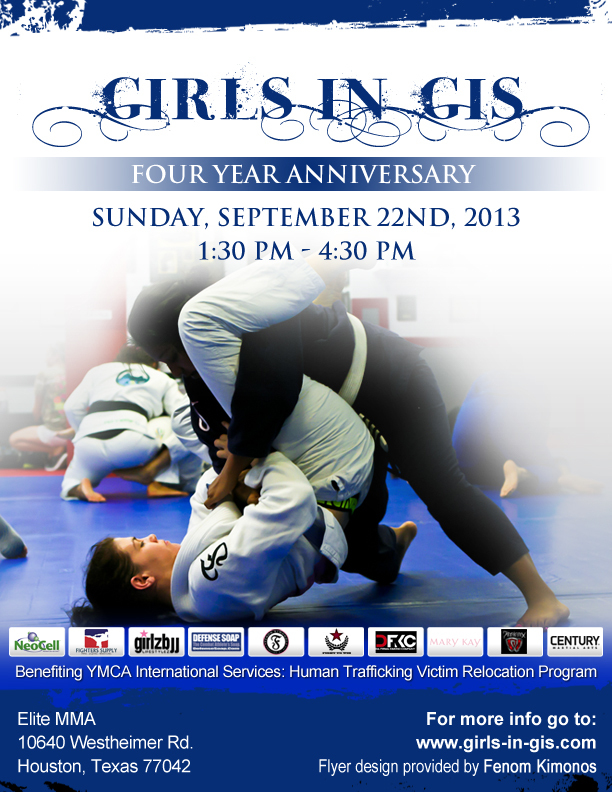 Girls in Gis, Texas women’s BJJ group, is celebrating its four-year anniversary on September 22nd in Houston, at Elite MMA. The group has grown exponentially since it started in 2009, and over 100 participants are already registered for the upcoming event. It is a free open mat for women and girls of all ages and experience levels. At the anniversary event, Girls in Gis is running a fundraiser for YMCA International Services benefiting the victims of human trafficking. Donations in cash and household items such as dishes, towels, small appliances, and baby items are greatly appreciated. 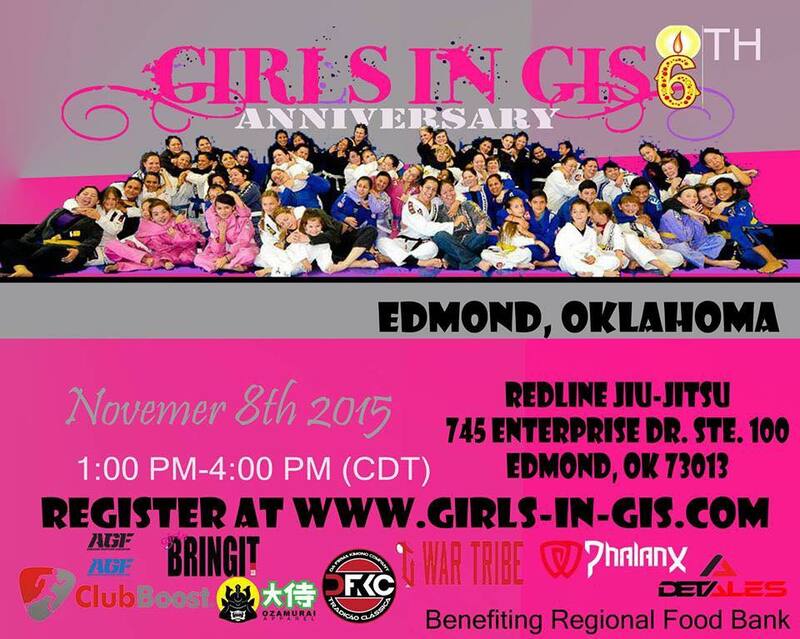 We are continuing our tradition of donating a gi to the Girls in Gis anniversary event’s raffle. This time around one of our beautiful pink pearl weave gis is up for grabs. Check out the past winners and good luck everyone this year! 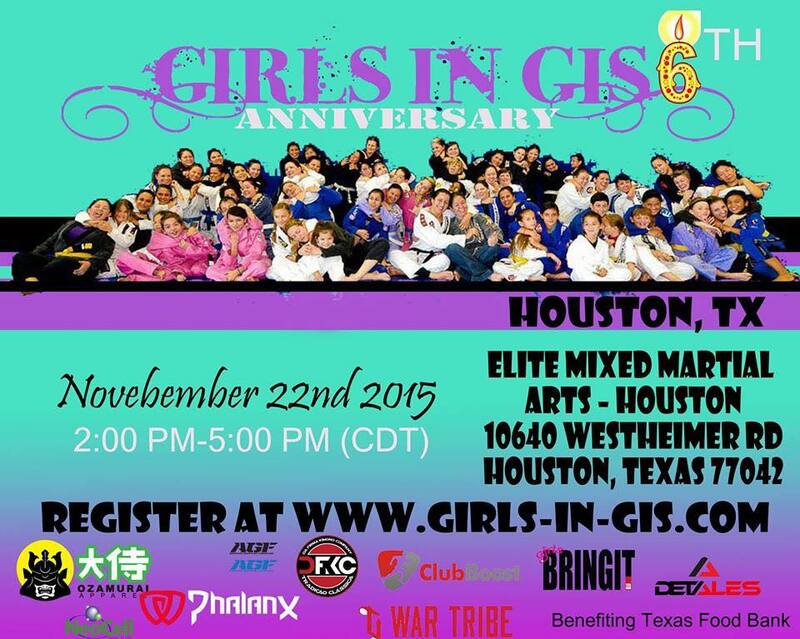 To register for the Girls in Gis anniversary event, please click here. To read more about Girls in Gis, please visit their blog. We asked one of our favorite bloggers, Mrs. Ibarra, to be the guest writer this month, and she was kind enough to say yes. She shares her experience at Girls in Gis and training with women. Enjoy everyone! On December 2, 2012 Girls in Gis celebrated its 3-year anniversary. It was spectacular! Never before have I seen so many women and girls on the mats together, 74 total in attendance. It was a colorful blur of gis, belts, women, and little girls, and a whole lot of sweat. I can proudly say that my daughter and I have been to all three Girls in Gis anniversary events. In March of 2010 I took my daughter to her first Girls in Gis. She had just started jiu-jitsu three months earlier and I thought it would be a good experience for her to train with other women and girls. At the time she was the only girl in a kid’s class full of boys. Fast forward a few months, I started jiu-jitsu myself, and then in September 2010 my daughter and I went to the first anniversary Girls in Gis event. Fast forward another year…we went to the second anniversary event. Fast forward another year…third anniversary…you kind of get the picture. In between we have traveled to San Antonio, Austin, Katy and Houston. When I first started participating in Girls in Gis, most women didn’t quite look like me. It was so very intimidating. I wasn’t athletic, I wasn’t thin, and I definitely wasn’t in shape. I had some very anxious moments in those early days. But those women I met, those amazing women, they just kept encouraging me. They told me to keep training, don’t give up, it will get better. And you know what? They were right! I slowly started to feel like I belonged. I realized that this “old” lady, who didn’t quite look like everybody else, had a place in this tight-knit jiu-jitsu community. Because of Girls in Gis I have had the pleasure of meeting women from all over the world, women at different stages of their jiu-jitsu journeys. I’ve been able to train with black and brown belts, purple, blue and white belts, and I’ve even had the pleasure of training with women who were trying jiu-jitsu for the very first time. 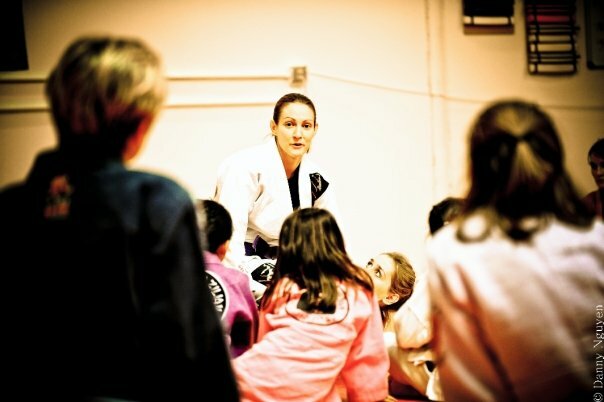 Most importantly, I’ve met other women who love jiu-jitsu just like me. And guess what? Now when I go to Girls in Gis, there are more and more women who look like me! Now it’s my turn to pay it forward. It’s my turn to encourage and support and help all the newbies as they start their jiu-jitsu journey. 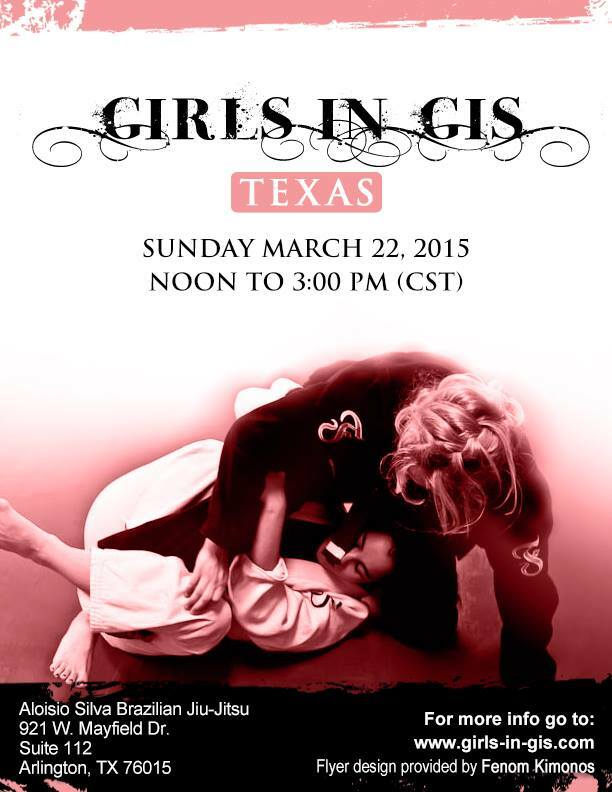 Girls in Gis is celebrating its 3rd birthday! It all started in September 2009, when Ashley Nguyen invited girls to her gym, Elite MMA, for the very first free open mat. Seeing more than 10 women training together was unprecedented at the time, everyone was a bit nervous and no-one knew what to expect. The first open mat was a huge success and from that day on, Girls in Gis has become a permanent fixture at the women’s BJJ scene in Texas. Girls in Gis open mats have traveled all across Texas, from gym to gym, bringing women and girls together regardless of team associations. White belts have become blue, blues have turned purple, and a few purple belts have been promoted to brown belt. Many friendships have been formed and the number of women participating in Girls in Gis has grown year after year. Seeing 30-40 women at an open mat has become normal and this year a new record, 65 girls and ladies, was set at Gracie Humaitá Austin. What Ashley started, Shama Ko has carried on. She is the driving force and active leader behind Girls in Gis, scheduling events, promoting, networking, and organizing fundraisers. You can hardly ever see Shama on Girls in Gis photos because she is always behind the camera documenting the events.